Download "Running Head: Total Quality Management and Performance Management"
2 Running Head: Total Quality Management and Performance Management 2 In the textbook entitled Organizational Behavior in Health Care, by Nancy Borkowski, the author explains that organizational development (OD) is a systematic process of addressing organizational issues or implementing change strategies (Borkowski, p. 370, 2011). Although there are several types of organizational development interventions, there are two interventions described by the author that are used frequently by large organizations. 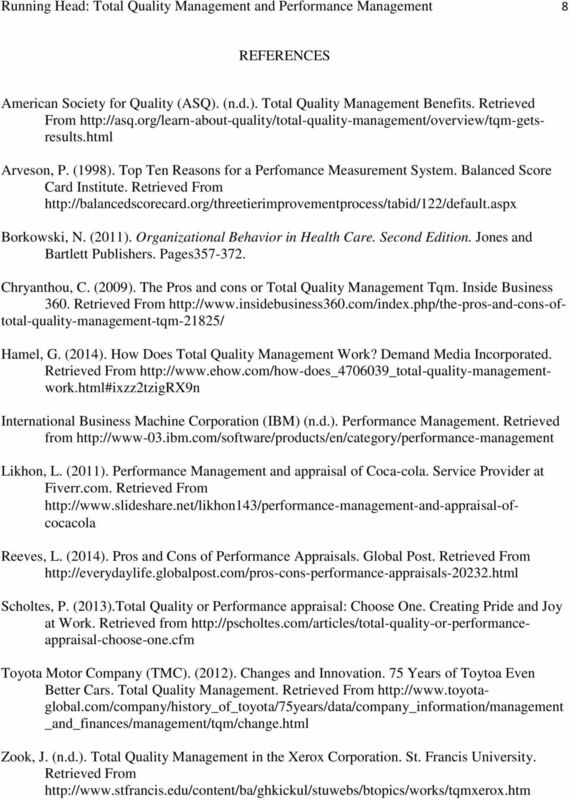 These include Total Quality Management and Performance-Management Systems. 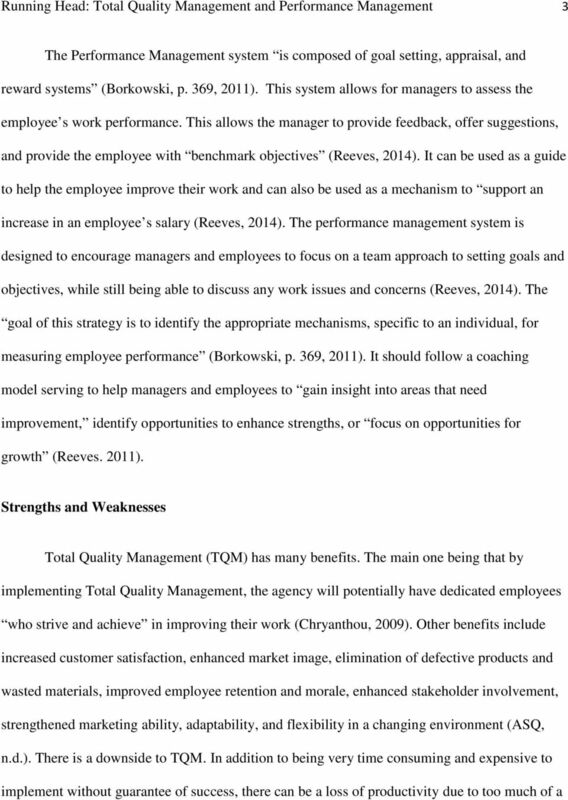 Due to their frequency of use, this paper will compare and contrast both systems summarizing the strengths and weaknesses of each strategy and provide examples of organizational successes with each of the two interventions. 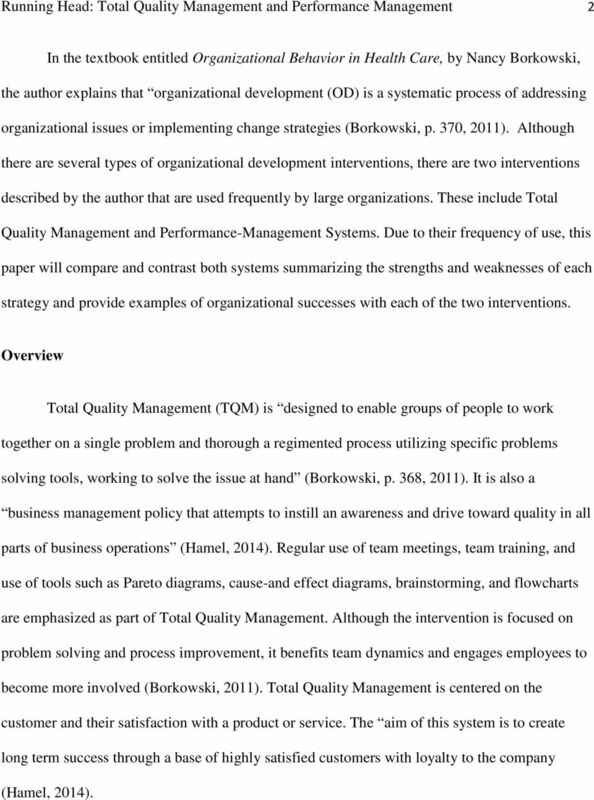 Overview Total Quality Management (TQM) is designed to enable groups of people to work together on a single problem and thorough a regimented process utilizing specific problems solving tools, working to solve the issue at hand (Borkowski, p. 368, 2011). 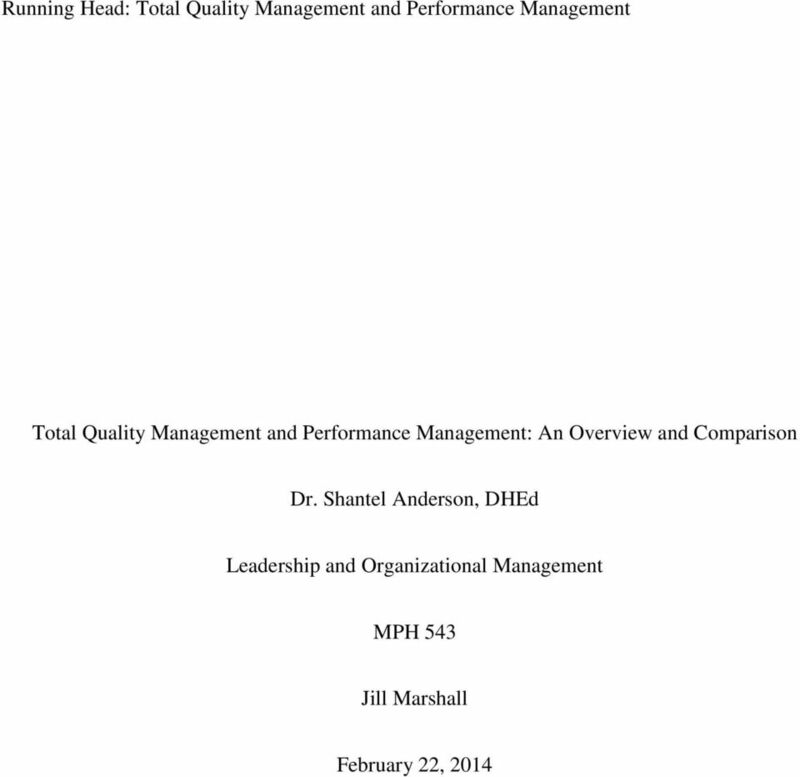 It is also a business management policy that attempts to instill an awareness and drive toward quality in all parts of business operations (Hamel, 2014). Regular use of team meetings, team training, and use of tools such as Pareto diagrams, cause-and effect diagrams, brainstorming, and flowcharts are emphasized as part of Total Quality Management. Although the intervention is focused on problem solving and process improvement, it benefits team dynamics and engages employees to become more involved (Borkowski, 2011). 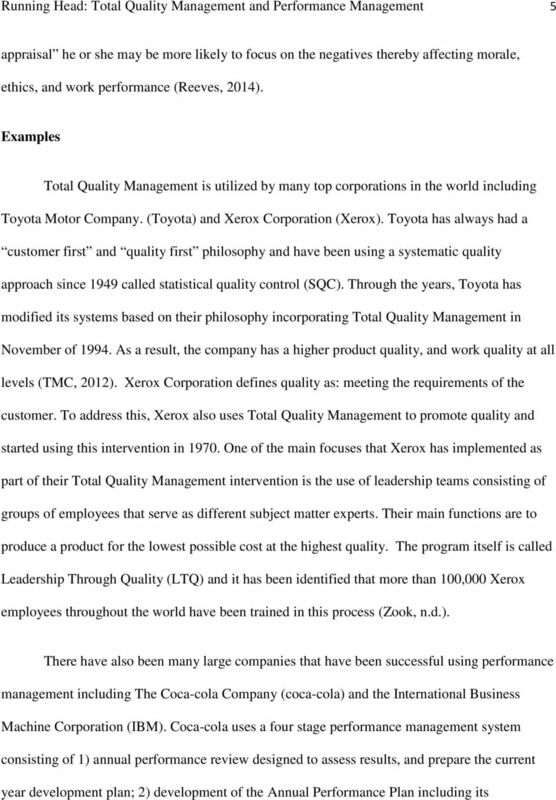 Total Quality Management is centered on the customer and their satisfaction with a product or service. The aim of this system is to create long term success through a base of highly satisfied customers with loyalty to the company (Hamel, 2014). 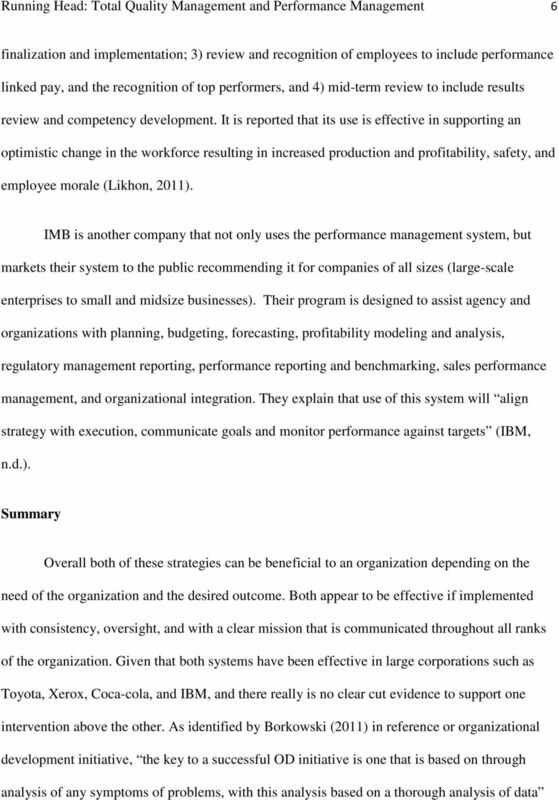 7 Running Head: Total Quality Management and Performance Management 7 (Borkowski, p. 370, 2011). Based on this, it is critical that an analysis and data review is conducted by the organization seeking the initiative. It is only then can it be determined which initiative is best for that particular organization. and understandings along with the preparation and analysis of financial statements. SUCCESSION PLANNING Susan A. Henry May 2012 Introductions Who we are What are your expectations for the day Naming of a Scribe for the Day Workshop Objectives To understand your role in succession planning. U.S. DEPARTMENT OF THE INTERIOR SENIOR LEVEL AND SCIENTIFIC AND PROFESSIONAL PERFORMANCE AGREEMENT AND APPRAISAL SYSTEM. 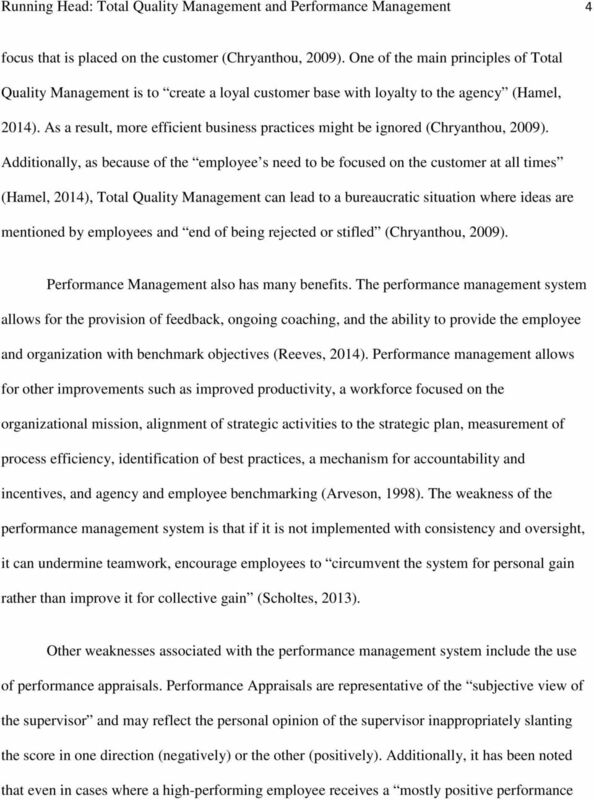 Application of Variance Analysis for Performance Evaluation: A Cost/Benefit Approach. MAP/EXCEL. The World s Most Effective Way to Improve Managerial Proficiency and Performance. Learn more...see inside for details. The World s Most Effective Way to Improve Managerial Proficiency and Performance MAP/EXCEL Join over 100,000 managers in taking the world's most comprehensive and effective test of managerial proficiency. The views expressed in this publication do not necessarily reflect the official views of the Asian Productivity Organization (APO) or any APO member.